You just scored a brand new job but it’s in an entirely different state! Or perhaps you are pursuing an amazing educational opportunity at a great school. Or maybe you just want a place where you can cut down on your commute -after all, being stuck in traffic every day can be such a dread! If you feel that the pros outweigh the cons, don’t let your current home anchor you down from reaching your life goals. You should also take note on whether your employer will offset your moving expenses -that will save you a lot of stress and money. A bigger household calls for more elbow room and the opposite is true for smaller. You decided to live with a significant other so why not live in a home where you’ll have plenty of room to live. And you’ll definitely need even more space if you’re planning on having kids or pets. Lastly, if someone in your household is moving out you should consider downgrading your living space to cut down on living costs and feelings of loneliness in an empty home. As mentioned earlier, you might consider moving to a new home to cut back on commuting time. But if you value bigger spaces and quieter environments then living somewhere further out like the suburbs will be more ideal. If you often go out for enjoying culture and entertainment, then it’s best to live closer to the city where they’re all available within walking distance. It really all depends on what your lifestyle is and whether the home you live in suits it well. We get it. 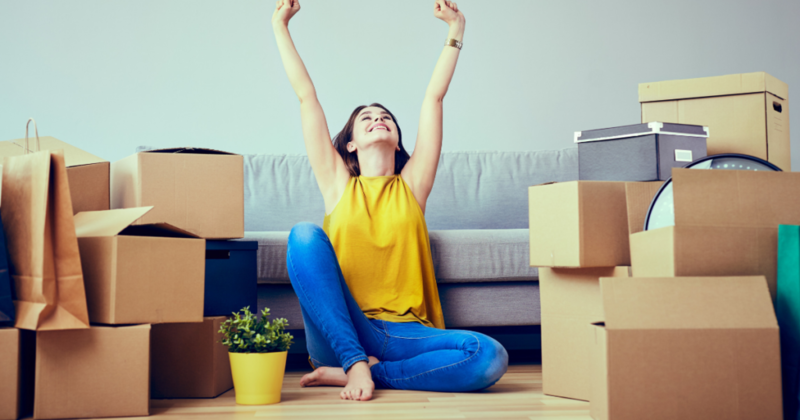 Moving can be a little tough especially when you became attached to your home for so long. However, sometimes you just have to take the initiative to do whatever you need to reach your future goals.